It's been a nightmare though due to the help I've received, or the help I HAVEN'T received, to make it more of a true statement. I even mentioned here how much I loved the doctor that I went to. She was so kind, took time to talk to me, even hugged me. I really did enjoy her & felt like she was giving me the sort of medical attention I needed. The problem all along has been the staff that works for her. yet it took over 2 weeks to find out if my ribs were broke or fractured. Why? I have no idea. I have some thoughts... like poor communication, lazy, not caring about the person waiting on the other end of the endless phone calls. I had to call the doctor's office 3 times because the radiology place did not receive the orders. Every time someone told me they were sending them 'right now'... to which the radiology department told me that, nope. Nothing was sent. I had to virtually scream at someone & tell them I refuse to hang up until someone called the radiology place while I was on the line to confirm my orders were in. & then the back side of that problem. Getting the results. The x-ray department told me that the doctor should have the results no later then 48 hours. I called 48 hours later & was told the doctor didn't have them. I give it another day, & get the same response 72 hours later. The next day, I call & once again, 96 hours, & get the same news. I call the radiology place & was told they had sent the results in less then 48 hours & the doctor indeed does have the results. I was then told that "we don't have the x-ray results".... I think my fuse had just sizzled out. I told them I was really trying to hide my frustration but then I pretty much screamed "YOU HAVE THE RESULTS!!!!!"... to which the nurse said, "Oh yeah... they are right here"
End results - they are fine. Great. But that doesn't solve my pain. So I asked the nurse - OK then, now what? Because I'm still hurting. I was then told they would call me back. Dear Lord. Give me strength. Someone called me & told me that I need a scan on my liver now & it would take a week for someone to call to schedule it. A week... just for someone to schedule it.... you have GOT to be kidding me. I can see how this is going to go. Round 2 of an endless round of calls & frustration & even more miscommunication & lack of caring. It's funny though because I was driving home thinking about how frustrating all of this is because the shame in it is, I really like the doctor. But I want to find another one because you don't deal with the doctor all the time - you deal with the staff. The people who are supposed to help. The front line people. But I thought about how these nurses are making me want to leave this good doctor. How they don't seem to care. How they seem rude. How they put me off. & I saw how important our role as believers really is. I mean, here is this doctor - someone I feel like can help me. Here is someone I trust. Here is someone that I feel like can put me back together.... but it's the people that I have to deal with that make me want to say, "it's not worth it". Do we help others get to the Great Physician? Do we try to get them to His help? Do we treat others with kindness & support & help in any way we can until they meet the only One who can help them? Or are we rude? Off putting? Can't be bothered? Dismissive? Very thought provoking. Thank you for sharing. I think I needed this reminder. Excellent reminder that WE are the "office staff" for the Great Physician. Oh my, I'm so sorry to hear that you're STILL going through this. Your doctor needs to know that she may be losing patients because of her office staff. I know that when I was looking for a new doctor last month, I had an appointment made with another doctor but cancelled it because of the office staff (it took over 3 weeks for them to mail me the new patient forms, their phone system message never put me through to a person, had me leave a message and then warned me that it could take up to 24 hours for my call to be returned). And that's NOTHING like what you're going through. I'm so sad that you're having to put up with all this ON TOP OF being miserable for SO LONG. Oh my goodness!! This sounds so terrible. I would definitely let the doctor know what is going on, because I'm sure she has NO CLUE. I had staff like that at a dr's office before and she told me that anytime I call I am to ask to speak directly to her (and tell staff it's an emergency so they put me through). I know that's not ideal for the dr or patient, but it worked until they fixed their staffing situation. I'm sorry you are going through this. I'm so sorry! I hope that you get some action from that office SOON. And your comparison is spot on, I believe! And so convicting! Too many doctors are having problems with their staff. You definitely need to tell the doctor about the issues you had. wow, how frustrating! I'm praying for a better experience for you and for the pain to STOP! I can't even begin to imagine how frustrating this is. Sending prayers your way for healing and continued patience through the process. AMEN! I believe that Christians are our own worst enemy! But I really am sorry you are having to deal with all that! Don't you hate having to get rude just to get some answers?? Many times you can speak with the office manager and they can straighten things out for you more so than who ever answers the phone. I'm so sorry to hear your still in pain and still without answers. For sure, if you like you Doctor fill her in on her staff...I'm sure she would like to know. 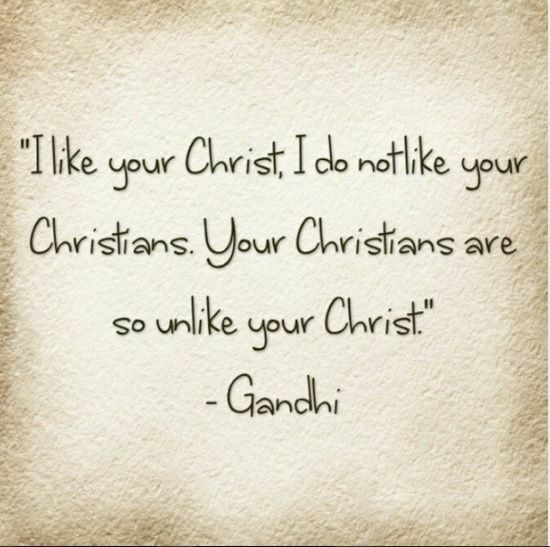 Your words are sadly do true...so many profess to be Christian's yet their daily walk does not reflect that at all. DAMAGE TO FAITH! I want you to know I will be praying that you get answers soon, and that you will be healed of whatever the problem is. how frustrating! you just want answers in a timely manner, like anyone. i could launch into a rant on that one, but i won't. and what a wonderful reminder too. That is beyond frustrating! I can't believe that. So sorry to hear, hope you get some relief asap, continuing to pray for you! really good analogy!! And sadly is probably more true than we would like to think. on another note, being a doctor's daughter, you should tell the doctor about her staff! and be honest. If no one tells her she will never know!! I'm glad to hear the results were good but I can't believe what you went through. I could feel my own blood pressure rise while I was reading this post! So sorry about your pain.